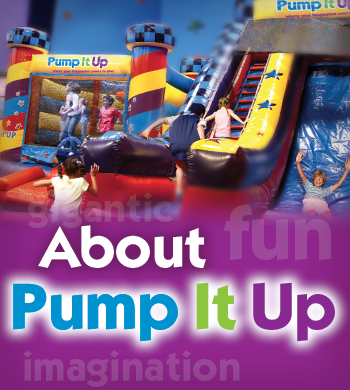 Pump iT Up of Ventura opened on February 14, 2004 & we love being the number one Birthday Party Destination in Ventura County still! We offer fun and safe, indoor, private Birthday Parties 7 days a week! Glow, Bubbles & other fun attractions make play time on our gigantic inflatables a healthy, fun & un-plugged experience to share with friends. We offer something for everyone. We have open jump times during the week just to come and have some fun. We also offer Birthday Parties every day of the week. It is a great way to have a private jumping good time with your family and friends!